by admin on September 17, 2011 | News. Serge Elhaik: Hello Madame Mauriat. Thank you for granting me this interview. You are known to be highly discreet, and you’ve never given any interviews since Paul Mauriat’s death in November 2006. Why have you decided to speak out now ? Irene Mauriat: It’s with regret indeed that I’m speaking out, because I have to defend my husband’s memory, and to ensure that his legacy is properly respected. Serge Elhaik: What do you mean ? Irene Mauriat: Many fans in Russia and the Russian Federation, as well as in China more recently, must have seen the advertising campaign that has been going on for a few months now for a tour by the Paul Mauriat Orchestra in October and November this year in Russia, and around New Year 2011 in China. I’m deeply unhappy about this false advertising, since the «Paul Mauriat Grand Orchestra» no longer exists. I took this decision after my husband’s death. It should hardly be necessary to specify that the «Paul Mauriat Grand Orchestra» no longer exists either. I’ve noticed that certain advertisers seem to want to play on words by presenting slightly different titles, but they always put Paul Mauriat’s name right in the middle! Serge Elhaik: Given Paul Mauriat’s great popularity, you must have received proposals to allow the orchestra to continue one way or another. Why did you not wish to entrust the orchestra to a new conductor? Irene Mauriat: That’s an excellent question. As you know, Paul stopped performing in 1998, when he did his «Sayonara» tour of Japan. After this farewell, many fans contacted him to say that they would still love to hear his orchestra and his very individual music. After much hesitation, Paul agreed to allow the orchestra to carry on under another conductor, under Paul’s own artistic direction. For the first tour without his own presence which took place in 2000, he chose Gilles Gambus who went on to conduct three other tours in 2002, 2003 and 2004 in Japan, China and Russia. In 2005, he chose Jean-Jacques Justafre to conduct during a tour of Japan and Korea. Throughout all this this, Paul remained fully in charge of his orchestra. He decided everything, he chose the programmes, he selected the musicians and brought in new talents when necessary, he reviewed all his scores and often made changes in his orchestrations and arrangements when he had a new idea. Then he supervised the rehearsals and gave instructions to the different conductors, so that the sound and style that audiences expected would be preserved as far as possible. In short, artistically speaking, he took care of everything! When he was no longer with us, I decided that I could not entrust to someone else what he himself never delegated. It would have been a betrayal of his intentions, and moreso, a betrayal of his fans. Serge Elhaik: You mentioned Jean-Jacques Justafre. He is leading these tours in Russia and China where, in certain places, it seems that the Paul Mauriat Orchestra is being advertised. Do you know how this confusion between Jean-Jacques Justafre and Paul Mauriat arose? Irene Mauriat: After my husband died, his old friend and long-time promoter in Japan, Mike Nakamura, really wanted to organize a Paul Mauriat tribute tour in Japan. In France, my husband’s production company no longer existed and we had no means of organizing such a tour. Mike Nakamura then turned to Jean-Jacques Justafre, who came to ask me for approval to set up this « memorial » tour. I must admit I hesitated quite a lot since I was acutely aware of the difficulty involved in organising a tour to the standards my husband demanded. However, I was reassured by Mike Nakamura’s involvement – he has so much experience of the orchestra and was so loyal to Paul that I was confident that all would go well. I therefore gave Mr. Justafre approval for a single, exceptional tour, under Mike Nakamura’s management, and on condition that the orchestra would be presented under another name. It was very important for me to respect Paul’s fans, and we could not pretend that this other orchestra, even including many musicians who had worked with Paul, was some kind of official successor to the Paul Mauriat Grand Orchestra. Without Paul’s guiding hand, it became something different. Serge Elhaik: How do you explain the fact that foreign promoters continue to use the name and image of Paul Mauriat and his Orchestra in order to promote Jean-Jacques Justafre’s orchestra ? Irene Mauriat: I think there’s a lot of misunderstanding about this. Indeed I spoke to Mr. Justafre about it several times. 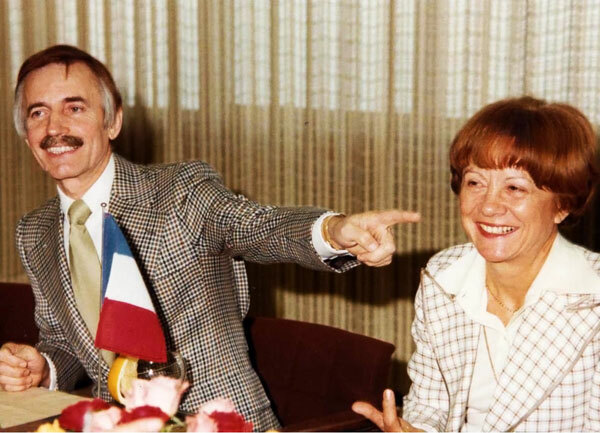 The problem is that, even if he himself calls his orchestra «Jean-Jacques Justafre’s Grand Orchestra», he presented himself in his promotional material as Paul Mauriat’s heir or successor. This led to certain promoters confusing the two entities. Serge Elhaik: I read in an interview given by Jean-Jacques Justafre to the Russian press that his orchestra includes many musicians who worked with Paul Mauriat in the past. 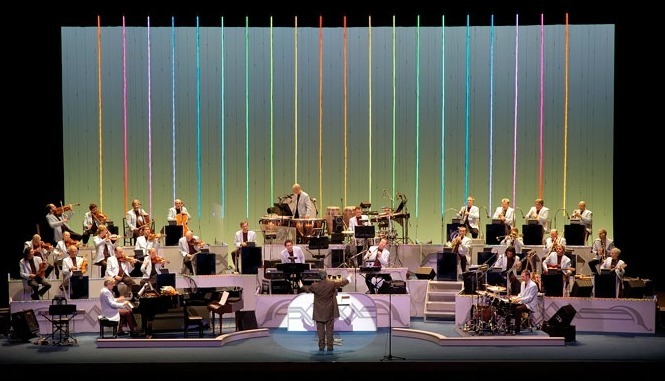 Do you think that the presence of these musicians justifies the idea that Mr. Justafre’s orchestra gives a «second life» to Paul Mauriat’s Grand Orchestra, as written in that interview ? Irene Mauriat: Absolutely not. Paul worked with a great many musicians, who in turn played in other orchestras or accompanied other artists depending on opportunities. That’s the normal life of a professional musician! It was Paul himself who gave his orchestra its particular character. Even when he was no longer physically present on stage, he still dominated everything behind the scenes. Today he’s no longer with us. It’s as simple as that. Serge Elhaik: There’s still one thing I don’t quite understand. In that same interview, Mr. Justafre says that it was you who suggested that he call his orchestra «Jean-Jacques Justafre’s Grand Orchestra». Is that true ? Irene Mauriat: Yes and no. After the tribute tour to Paul Mauriat in 2009, which, as I already mentioned, I authorized on a one-off basis, Mr. Justafre came to see me again. He wished to make a recording using the name «Paul Mauriat Orchestra», which I refused. He also told me about a proposal he had received for concerts in Russia. I told him he did not need my autorization to give concerts or make a CD in his own name! My husband always tried to give a helping hand to musicians who were trying to develop their own projects. In this same spirit, and in trust, I encouraged Mr. Justafre to give his own name to his orchestra. He was very anxious to pay tribute to Paul Mauriat, which is something anyone is free to do. However, I never imagined for a second that Mr. Justafre would interpret this friendly encouragement as an autorisation to re-name my husband’s orchestra in his own name, which would obviously make no sense! I thought that he would develop his own reputation as a conductor, playing all kinds of music including my husband’s music. It never ocurred to me that he would concentrate his activity exclusively around Paul Mauriat’s name. It’s this approach that has led me to speak out and to state clearly that he is not the heir or successor to Paul Mauriat or his orchestra, nor indeed to his style, and I don’t want there to be any misunderstanding about this among Paul’s fans. Serge Elhaik: Nonetheless, are you not happy, deep down, that there should be ongoing tributes to Paul Mauriat, especially by musicians who knew him ? Irene Mauriat: I’ve always said that I would be very happy that musicians, whether they knew Paul or not, would pay tribute to him in their own way. I mean really, in their own way! It’s the ultimate compliment from one artist to another. Indeed, other artists and orchestras have contacted me to tell me of their desire to play Paul’s music, and I’m delighted about this. The difference is that they have their own artistic identity and their own repertoire, to which they just want to add some Paul Mauriat music. What bothers me about what’s going on in Russia and also in China is that the public is led to believe that they’re going to hear the Paul Mauriat Grand Orchestra, or Jean-Jacques Justafre’s Grand Orchestra presented as the successor to Paul Mauriat. I want to be very clear about this : Mr. Justafre in no way represents Paul Mauriat’s artistic legacy, and has no right to identify or associate himself publicly and exclusively with Paul Mauriat. In China, some people took things further by declaring that Jean-Jacques Justafre is Paul Mauriat’s own son! It’s a ridiculous lie, and is the sole responsibility of those who made it up for their own purposes. The Chinese public must know that Paul Mauriat never had any children. That’s perfectly clear. 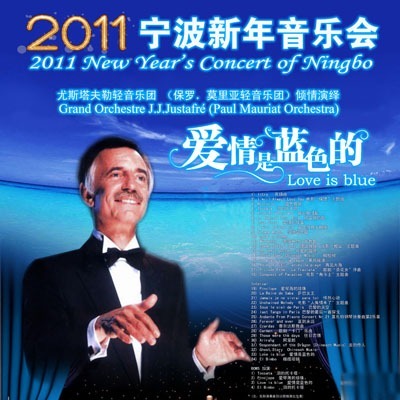 This same promoter of concerts in Shanghai and Hangzhou has stated in his advertising material that Jean-Jacques Justafre collaborated with Paul Mauriat on his arrangements and compositions – this is totally untrue! Mr. Justafre’s only contribution to the Paul Mauriat Grand Orchestra was as a musician in the orchestra – solo French horn – for seven tours, and as conductor for one tour only. My own name was mentioned in this outrageous advertising, they say that I gave all rights concerning the orchestra to Mr. Justafre. It’s unbelievable! All this nonsense makes me very sad. I also saw a Russian website selling tickets for a concert advertised as the «Paul Mauriat Orchestra». On the same page, they showed a video of Paul Mauriat himself conducting his orchestra. Fans are being completely misled! This whole affair is an insult to my husband’s memory, and I’m determined to set things right. I’ve far too much respect for the fans who allowed my husband to have such an exceptional career to let them be cheated. Serge Elhaik: A final word ? Irene Mauriat: Today, I’m very upset by this unfortunate episode, but Paul left me so many wonderful memories that it’s my duty to be strong enough to restore and preserve the integrity of his name and his music. by admin on April 6, 2011 | News. Majorities consider Paul Mauriat a good musician and some people even think that he is genius person. And some of them refer to him as the classic. His popularity spread all over the world and it is popular till now. But, tell me please, what is the composer without performer and what is the conductor without an orchestra? When Paul Mauriat was under age he formed his first orchestra. Of course, that orchestra doesn’t work for a long time but nevertheless the first significant step to the future was done. A very important event happened in 1965. It was foundation of the Grand Orchestra. At that time the orchestra was named after him, that is the full name was Paul Mauriat Grand Orchestra. But then, the members of orchestra always changed, almost all the time some people left the orchestra and others came. Only conductor was the same (Paul himself). Nevertheless nothing prevented orchestra from becoming sterling musical foundation, and under the conductorship of Paul it played and recorded hundreds of lovely melodies that are performed all over the world till the present. At the beginning, the popularity of the orchestra was only the reflection of Paul Mauriat’s popularity who had been quite famous musician by that time. But thanks for marvelous works of the Grand Orchestra, he became successful conductor and then he was considered as an irreplaceable leader of the group. Paul toured with his orchestra through different countries. Grand Orchestra played many concerts and gained great popularity in Russia. It was extremely famous in such countries as Japan and USA. Many of his albums Paul recorded accompanying by his orchestra. Majority of the famous compositions (including the melodies used in TV programs «In the world of animals» and «Kinopanorama») are known to us by name of Paul Mauriat who was a composer, arranger and conductor. After all there we hear playing of the Grand Orchestra. But if we can look back and recollect how many compositions were released under the label Paul Mauriat and Grand Orchestra we will find out that rare occasion when a lot and of high quality was done. The existence of Paul Mauriat Grand Orchestra allowed all amateurs of good music and Paul Mauriat himself to fulfill one pleasant thing. In spite of the fact that maestro is not longer with us but his orchestra continues to enjoy us with the memorable melodies that are remained his founder with great respect and esteem. The last album recorded with Grand Orchestra was released in 1997. After a year Paul Mauriat ceased from his creative activity. Gillos Gambus, who has been playing in this orchestra for a long time, displaced Paul Mauriat in his orchestra. 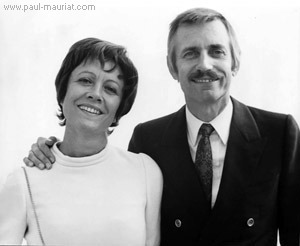 When Paul dead in 2006, his wife Iren declared for changing Paul Mauriat Grand Orchestra to Grand Orchestra. Soon it was done as she wished. It was not connected with lack of respect of the great composer. The matter is that his wife considered that the orchestra wouldn’t be the same as with Paul Mauriat. And nobody could do anything that Paul was doing, and do it better than he did. That is why the musician brought away with himself the former name of the orchestra. As for the new leader and conductor it was Jean-Jacques Justafre who had great significance in orchestra while Paul was alive and who was in the excellent relations with him. He has conducted the Grand Orchestra till the present. The members of the orchestra are almost the same that have been playing there for more than 20 years and showing themselves as the best musicians. They continue to tour from year to year performed the favorite melodies for people of different countries and cities. A lot of concerts devoted to the memory of Paul Mauriat were performed after his death. These concerts were conducted in the countries where Paul preferred to tour including Russia and even Ukraine and Belorussia. All these concerts were performed under the conductorship of Jean-Jacques Justafre. It was played all main and memorable melodies which orchestra conducted by Paul Mauriat has presented for the whole world. The orchestra had great significance for Paul. Such works as melody that won Eurovision in far 1962 called «Alouette» was recorded under his conductorship. You may here it through TV program «In the world of animals». And also «Love is Blue» that was written special for Eurovision that allowed Paul to reach success in American sales and hit-parade that no one European has never dreamt. by admin on March 23, 2011 | News. It’s a great comfort to me to see how loyal the fans of my husband’s music are to him. This is why I wish to explain to you what follows. Contrary to what you may have read on the internet or elsewhere, I never approved Mr. Justafré as my husband’s successor. Mr. Justafré was never my husband’s student or disciple either. 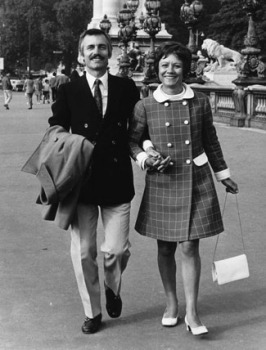 Paul Mauriat himself took care of all aspects of the artistic direction of his orchestra : choice of musicians, the programme, the sound engineers, rehearsal time… He ensured that the style and sound that people expected from his orchestra were respected. He had great esteem for his musicians, and personally saw to it that tours took place in the best possible conditions, so that the musicians, in turn, could give of their best. You understand, he was a great professional who left nothing to chance. No-one could replace or succeed him. After my husband’s death, I agreed to allow Mr. Justafré to conduct his own orchestra in a Paul Mauriat tribute program for a unique and exceptional tour of Japan in 2009, in order to satisfy the request of my husband’s Japanese promoter and friend, who wished in this way to honour Paul’s memory and to thank the fans for their loyalty. I was very surprised and shocked to see subsequently, for Mr. Justafré’s orchestra’s tours in Russia, the CIS, the Baltic states and in China, that posters and the media presented the Paul Mauriat Grand Orchestra, or else Jean-Jacques Justafré’s Grand Orchestra as its official successor, thus creating confusion of which I disapprove out of respect for the public. The Paul Mauriat Grand Orchestra died with Paul, there is no successor. So no-one should exploit his name since his demise. So you won’t see the Paul Mauriat Grand Orchestra any more. Don’t be sad about this : it was his wish, and the most beautiful memories you have of him are in your hearts and in the works that he has left behind him. I’d like to take this rare opportunity to thank you all very warmly for your enduring friendship. by admin on November 9, 2010 | News.